Cairo's notorious traffic inspired Bey2ollak application that helps users share real-time information about road conditions. (CNN) -- Their country may be struggling to emerge from chaos, but a new generation of young Egyptian entrepreneurs are already forging a high-tech future. Six months into the revolution and with elections due in the Fall, Egypt is working to rebuild its ailing economy. Unemployment rose from just under 9% to almost 12% in the first quarter of this year and GDP fell by 4%, according to Trading Economics -- and tourism has dropped dramatically. Despite the tough conditions, many young entrepreneurs are taking advantage of the new-found optimism to start businesses and help build their country's economic future. The U.S. State Department and the Danish government recently sent a delegation that included the Young Entrepreneur Council to Egypt to mentor a group of Egyptian start-ups. During the NexGen IT Entrepreneurs Boot Camp they ran, four winning Egyptian start-ups were chosen to take an internship at an American company or a further three-month boot camp in Denmark. It means a lot to be starting a business at this optimistic time. Mike Ducker, of the U.S. State Department's Global Entrepreneurship Program said in a press release: "Building a successful entrepreneurial community is critical for pointing the way towards building a strong economy in Egypt. "The Middle East is striving to become the next global center of entrepreneurship, and Egypt is a central focal point of small business activity in the region." Here, we profile the four winning young Egyptian high-tech entrepreneurs who are hoping to be the country's business leaders of the future. 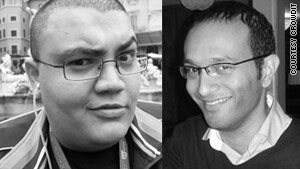 Cairo's notorious traffic inspired Mostafa Elbeltagy and four friends, all aged between 23 and 30, to start Bey2ollak, a smartphone application and website to report road conditions. 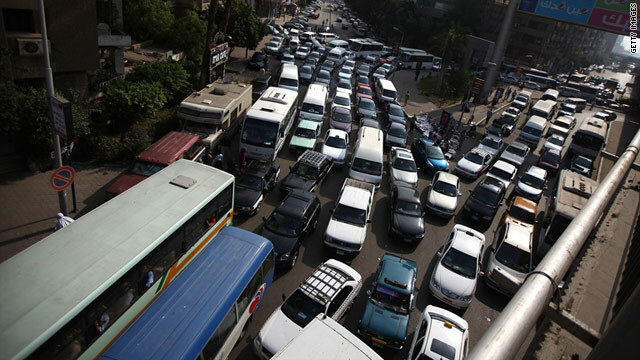 "Anyone who lives in Cairo dreads the traffic," said Elbeltagy, 25. "We have some of the worst traffic conditions of any city and it's so unpredictable. "We don't have CCTV or helicopters reporting on traffic conditions, so people tend to call each other." Elbeltagy said Bey2ollak wanted to take the information that people usually pass on informally to a wider audience. Their application, which launched last October, allows drivers to see other people's traffic reports for a certain road before leaving the house. It's a great time for new ideas, there's more of a can-do attitude in everyone. The smartphone application already has 50,000 registered users, and others use the website without registering. 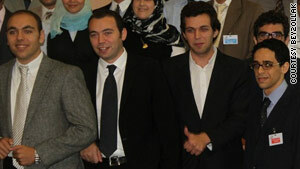 Elbeltagy said all the team was involved in protests in Tahrir Square and bring the country's optimism to their business. "Our vision is to go global, and if we are going to do this we will be creating more jobs and helping out the economy," he said. "We are proud of what we did in the revolution. It was a spark of hope that we can do better and build a better country. It means a lot to be starting a business at this optimistic time, although we know there are difficult times ahead." When Yasmine El-Mehairy's sister-in-law was pregnant, she was bombarded with conflicting advice from every direction, but much of it was old wives' tales, she said. "Your mother tells you one thing, your mother-in-law tells you something else, but there's difficult to get good expert advice," said El-Mehairy, 30. So she and colleague Zeinab Samir had the idea for Supermama.me, an Arabic parenting website that already has 10 employees ahead of its launch in September. The site has ambitious plans to be the number one Middle Eastern website for women by 2015, with its expert advice and articles on pregnancy, parenting, women's health, career options and budgeting. El-Mehairy said: "We have a vision that we want to establish now because when things are more stable and the political systems are in place, people will start looking for jobs and we will be able to provide a work environment where women can work from home. "Everybody has a real belief in the country at the moment." Marwan Roushdy is still half way through his degree in construction management but is already a serial entrepreneur. He came up with the idea of for Inkezny, or "rescue me" in Arabic, on a whim during an event called Startup Weekend -- where entrepreneurs pitch business ideas and can hire staff on the spot -- and won first prize. He honed the idea during the NexGen IT Boot Camp and again became one the winners. 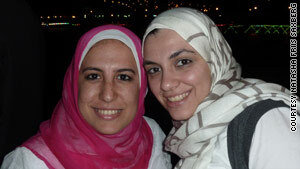 "The emergency system in Egypt is really bad and you often get put on hold," said Roushdy, 20. "I thought of an application to bypass the system and get in touch with hospitals directly. "The idea developed further into something for travelers worldwide to help them find emergency numbers in whatever country they are in." 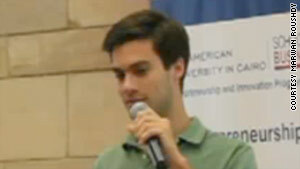 Roushdy, who describes entrepreneurship as his hobby, said: "I love starting businesses." He hopes elections planned for the fall will bring much-needed stability for new businesses. Egypt's revolution directly inspired Ahmed Ellaithy and his four business partners to create an online platform telling the story of the final days of president Hosni Mubarak through the eyes of those who lived through it. They are encouraging people to upload videos, blogs, photos, tweets and commentary to create a picture of ordinary life at an extraordinary time for their 18daysinEgypt project. The long-term plan for the part-Egyptian, part-American team is to create a platform to aggregate blogs, videos, photos and videos of any major news event. "We see immense potential in transforming crowdsourcing and citizen journalism," said Ellaithy. Ellaithy, who was born days before Mubarak came to power in 1981 and moved back to Egypt last year after a period in Dubai, said a new entrepreneurial spirit was emerging in the country. "I feel lucky to be in Egypt at this time and if I was still living abroad I would want to come back," he said. "It's a great time for new ideas, there's more of a can-do attitude in everyone."